Childline South Africa has formed many partnerships over the years in order to assist children some of these partnerships are listed here. If you are interested in forming a partnership with Childline South Africa please contact us to discuss a way forward. SASPCAN was the founding organization of the Childline Movement in South Africa, and initiated the development of the first Childline in South Africa, Childline KwaZulu-Natal, and the founding of Childline in Gauteng. SASPCAN is not a direct services provider but provides the network of service providers in the field of child protection, including volunteers, with a forum for inter-action, debate, training and development. This organization encourages interaction across sectors and professions in child protection and also has made a significant contribution to law and policy relating to children. Childline South Africa remains a member of and an active partner of SASPCAN, and has assisted with training funded by the Oak Foundation. The Oak Training has focused on the development of inter-sector relationships and skills in team work when responding to the abused child. 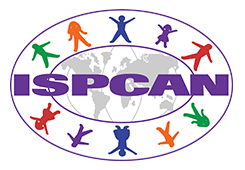 SASPCAN and Childline are both member organizations of ISPCAN (www.ispcan.org) ISPCAN focuses on training and education in the child protection field at a regional and international level. Childline SA and Childline KZN have long been associated with the ISPCAN training and international Congresses, and assisted in the organization of the ISPCAN international Congress held at the International Convention Centre in Durban 2000. Childline has also had numerous papers accepted for presentation at the International Congresses, held every two years. The Oak Foundations channels its funding for inter-sector training through ISPCAN. At present the National Coordinator of Childline SA is a member of the expert faculty of ISPCAN, and also an elected member of the Executive Council of the organization. Child Helpline International is the body to which Childlines around the world may affiliate. Its function is to – provide Child Helplines around the world with a forum for information sharing and mutual support – to assist with advocacy and lobbying in international forums in order to promote the rights of children and Childlines as a medium of assistance to children – to support the initiation and further development of Childlines in countries which do not have Childline services. To develop and promote standards of service for Childline members. To develop, maintain and implement the collection of data on Childline services in order to develop a global picture of the problems and issues that children telephone Childlines about. At present Child Helpline International has over 83 member childhelplines, representing every continent and region globally.